It's the same class that you have all grown to love! This workshop has sold out 4 months running. Don't miss out, register early. Have you been interested in the latest internet trend, Paint Pour? Now is your chance to learn all about the techniques and tricks to create a fantastic masterpiece of your own. 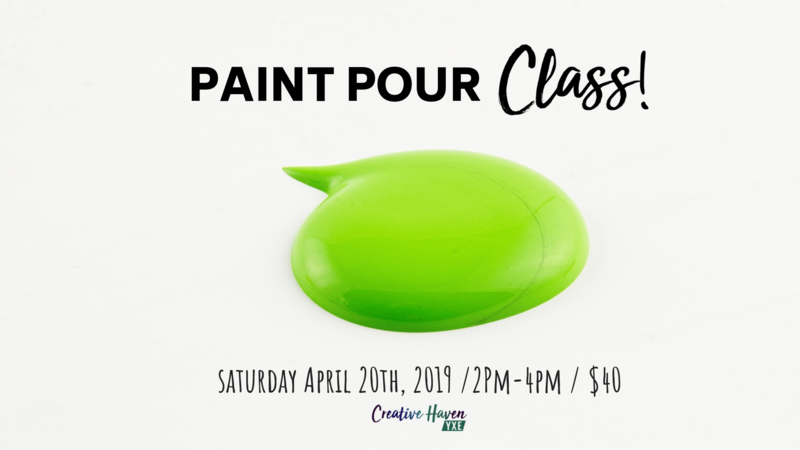 Join us for an evening of paint pouring, learning and creative expression. In this 2 hour class you will create a 10x10 paint pour canvas. Each creation will be unique and customized to your tastes. Choose the colours you want and then watch the magic happen.